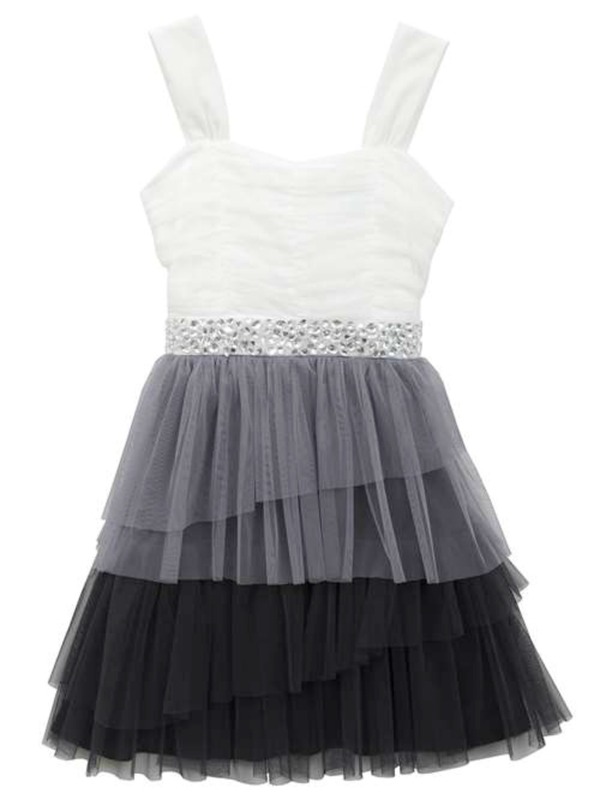 Beautiful four tier modern mesh ruffle dress features white shirred bodice, to medium gray and charcoal grey mesh tiers. Lovely sparkle jeweled waistline with wide shoulder straps and back zip. Lined.